A good workshop used by a small production unit or as tradesman's workshop built in steel provides a safe secure workspace. Whether you are working in light industry, producing craft designs, or providing service or repair Steel buildings make excellent commercial workshops as they are easy to configure, secure and require little in the way of maintenance and provide a professional space for work. 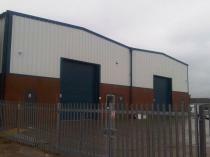 Steel buildings can also be extremely cost effective in terms of the amount and quality of the space that you get for the money, so if you need a bespoke workshop, with specific requirements for access, light and insultation, it's very easy to get a steel building built exactly to your requirements. Steel workshops come in all shapes and sizes, from special tall buildings with high doors for marine use, to grand production-line units, and of course smaller plainer workshops for the small machine shops, or enthusiasts and can include interior offices, sound proofing and storage areas. Get commercial steel workshop quotes and design help from leading steel building suppliers for the UK. Just click the Quote Me button below to get started! Commercial workshops are used by a variety of trades and professions from crafts like joinery, carpentry or metalworking to high tech service and repair centres. For most small businesses costs are a strong consideration and a metal-built workshop is one of the most cost-effective buildings. Workshop made in a grey/silver corrugated steel finish with dual roller doors finished with guttering and interior lighting to complement the skylights. Workshop built in steel with three oversize roller doors to allow access for high vehicles for maintenance and cleaning.